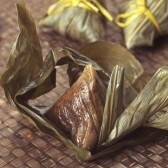 Dumpling festival was just over not long ago and trusted that you had a wonderful time during this festival. We believe some of you may have tried various sizes, shapes and types of dumplings, which can be easily obtained in my home country. This is at no exception to me and my family, especially since my eldest son had just come back from overseas this year and had missed this food very much. As a result, this festival was given special extra attention this year. Dumpling, as photo above, is very much fulfilling to the stomach and it struck my mind as to what is best to go with it so as to ease the digestion. This led me to think of tea. Do you agree with us that Tea is the perfect fix for such an effective role? We believe many of you may nod your heads in agreement with the title above. Having said so, it is also adviseable for you to continue to read the passage below and perhaps you may add in some convincing points to make this article even more interesting at the end of the day. Alternatively it may turn this to be a lively discussion topic at the comment column provided below. Whichever way it goes, we should make it as an useful platform for our exploration and development. Thanks for your kind participation in advance. Before we proceed further, we would also like to highlight the well known fact about tea and its digestive properties. That's why you may see some decorators like to pair them with dumpling as a perfect match. We are deeply glad to find such a decoration became the lime light in the recent dumpling making and decoration competition camp held at the Batu Pahat Chin Kang Association. The annual event held there was much more special this year, in the sense that it is the first time they brought in the single mothers. Besides that, they are also promoting this Chinese traditional culture to the community and celebrate the festival with others, especially the needy ones. We were told that this camp was divided into 2 categories - dumpling making class and dumpling decorating contest. It was reported that there were some very positive and encouraging feedback from the participants. They found it very wonderful especially to have celebrated the festivity with mothers, who are learning together with their children as how to make dumplings, apart from having a fun, joy and excitement fulfilling activities. No surprise at all that such a success will drive the association to hold more of such camp next year, such as bringing it to schools. We, of course, at tea art blog, are very glad to see this healthy and long preserved culture being maintained, but also spread further to the schools. Who knows, one day it can even turns to a cooking course, as more people can acquire such a skill either for a living or other purpose of their choices. Thanks for your time and effort to read this article. Please spread it to your circle of friends if you find that it may enrich their lifestyle.